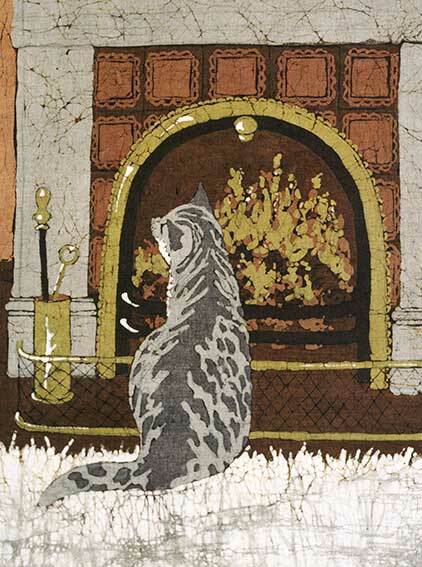 This warm, cosy cat design is one I love and I have repeated in different colour-ways several times, both as a framed painting and a lampshade. The tabby markings fascinate me. The patterns feel so natural and fluid under my tjanting when I am applying the hot liquid wax to the cloth. It has always been a popular greetings card and print and has also been adapted for a lampshade.